A rare Ferrari 550 Maranello World Speed Record edition is for sale at Silverstone Auctions Race Retro sale on 25th and 26th February 2017. Not content with the 550 Maranello’s success on the world’s racing circuits, in October 1998, Ferrari sent a lightly modified 550 Maranello to a 12-kilometre oval test track in Ohio. The car set three new world records at the track covering 100 miles at an average speed of 190.2mph, driving for one hour at an average speed of 184mph and finally covering 100 kilometres at 188.9mph. To celebrate these achievements, Ferrari produced 33 550 Maranello road cars in the exact specifications of the record-setting car. The differences between the standard 550 and the World Speed Record are small but significant. 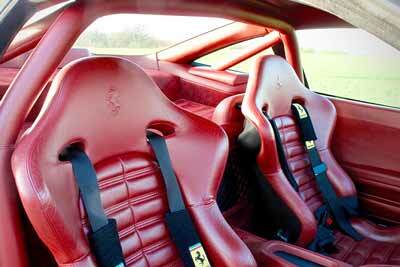 Underneath the Fiorano handling pack stiffens the suspension, inside there are carbon-fibre bucket seats, racing harnesses, suede steering wheel, leather-trimmed roll bar and the ‘WSR’ commemorative plaque. This car is one of only 10 right-hand drive ‘WSR’ models sold in the UK. Sold new to car collector and enthusiast, Mr Terry Lister, co-founder of England’s largest independent dealer group. In 2005 the car was sold to its current owner, where it has been fastidiously cared for ever since. Today the car has covered just 33,800 miles and comes with the correct wallet, manuals and service book. 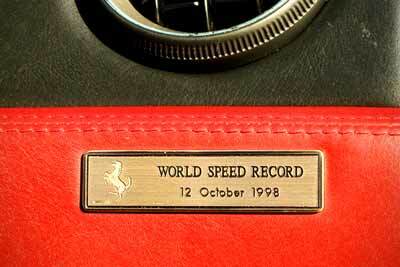 A full service, MoT and condition report will be completed by Ferrari specialist Terry Keys before the auction. This will be made available to prospective buyers. The 550 Maranello is becoming increasing popular with Ferrari collectors and the rare WSR cars are among the most desirable. Silverstone Auctions expect this Ferrari 550 Maranello to make £180,000 to £220,000 when it comes up for sale at their Race Retro auction next month.